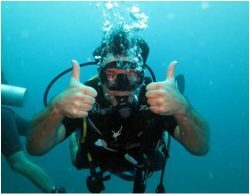 FWP warns Montana boaters to steer clear of scuba divers. Divers should always display their “diver down” flags on their boat or float them while they are in the water. While some people on the world wide web claim the above picture was taken at more than 300 feet deep at Flathead Lake, it was actually taken at Sameranger in Tyrol, Austria and posted on 500px.com by Kristallklar . The photo was taken in a depth of approx. 3m (~9 ft.) in the fore waterside of the lake. 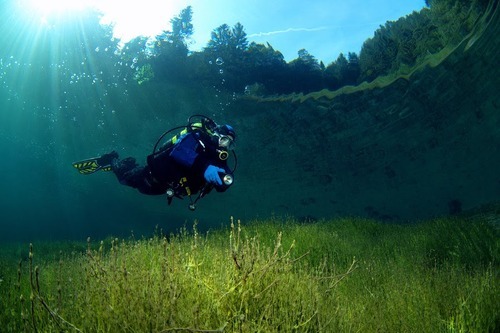 However, Flathead Lake IS beautiful and still a major attraction for scuba divers in Montana, along with other bodies of water across the state.